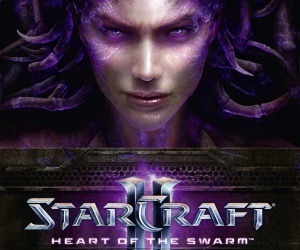 March 12, the release of the game StarCraft II: Heart of the Swarm, which is already available. StarCraft II: Heart of the Swarm – continuation of the epic saga of three powerful races: Protoss, Terran, and Zerg, who will again come together in battle in the new strategy in real time. Players will be able to experience a new combat units, and the old, but with extended capabilities. In the Heart of the Swarm players waiting for the continuation of the storyline StarCraft II: Wings of Liberty. The players have to follow Kerrigan, who decided to resurrect Roy across the galaxy to find unusual varieties zerg that can replenish its army. Users have to deal with mutation experiments to produce new subspecies horrifying Zerg, so defining his style. – and the system levels, allows you to receive additional rewards.